Japanese steel behemoth Kobe Steel has developed a novel technology to use converter slag which helps in reducing the manufacturing major’s cost of production in the blast furnace. As recycling applications are limited, it is essential to take advantage of the converter slag of steelmaking by-products and improve the permeability of the blast furnace. The objective is to reduce costs by reducing the amount of coke required to maintain the breathability of the BF. Kobe’s Kakogawa plant in Japan’s Hyogo Prefecture has worked out the final adjustments in the direction of implementing the new technology. Kobe Steel has developed the “tuyere of converter slag blowing technology”. A material is obtained by the converter slag when fine powder is blown from the tuyere of the blast furnace along with pulverized coal. The innovation is being applied at the third blast furnace (with an oven capacity of 2112 m3) that Kobe Works had suspended. Company officials confirmed that the objective of cost reduction has been achieved while maintaining stable operations. For one and a half years – from Apr’16 to Oct’17 – Kobe’s third and smallest blast furnace remained shut down. In order to utilize the new technology to the fullest, officials said, the Kakogawa blast furnace needs to be larger. The new technology can improve the ventilation of the blast furnace area called the “Bird’s Nest”. In front of the tuyere of the blast furnace there is a combustion space called “race-way”. A sticky strong slag layer occurs at the back of the combustion space’s “Bird’s Nest”. With the application of the new technology, iron oxide (FeO) in the converter slag, which is in a difficult muddy state, tends to drop to a free-flowing state. As a result, the thickness of the slag layer in the “Bird’s Nest” reduces considerably – i.e. it becomes thinner – thereby increasing the permeability of the blast furnace. Kobe is basically using steelmaking slag for BF. The steel major has further confirmed that coke consumption has been reduced by enhancing the permeability of the furnace. In the Kobe Works blast furnace, for 1 ton of pig iron production 15 kg of BOF slag needs to be used. This has succeeded in reducing the coke ratio (coke consumption per 1 ton of pig iron production) by several kilograms. Kobe Steel has revolutionized the BF operation method with the aim of reducing coke as much as possible by the injection of a large amount of pulverized coal. However, the “Bird’s Nest” tends to become bloated if the amount of pulverized coal is increased. Pulverized coal and converter slag are blow through the tuyere at the same time to prevent the growth of the “Bird’s Nest”. The new technology aims at further sophistication of furnace operations. In general, 110-140 kg of converter slag is produced for every ton of crude steel production. Although the converter slag is used as a roadbed material, recycling applications are limited in comparison with blast furnace slag cement. The advantage of the new application technique of using converter slag is that it improves the ironworks recycling rate. Sources in Kobe Steel have confirmed that the blowing amount of breathable optimum converter slag for the improvement of BF operations is in the range of 15-20 kg approximately for production of 1 ton of pig iron. The pre-processing of pulverizing the converter slag is being actively considered with an eye on taking advantage of the existing facilities. 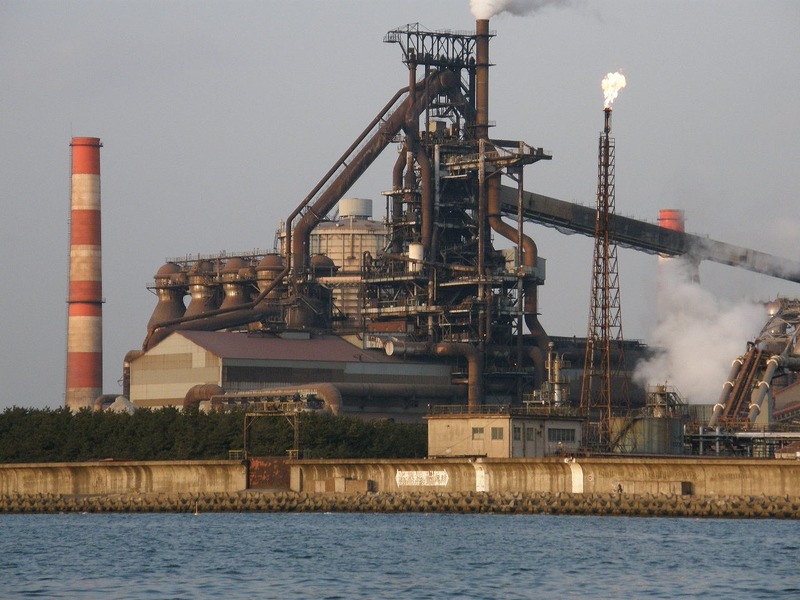 Kobe Steel has been operating three BFs – the second blast furnace at Kakogawa has an oven capacity of 5400 m3, while the other furnace has 4,844 m3 capacity. The steel major’s external procurement ratio of coke is higher than that of its competitors. By reducing the amount of coke used in the blast furnace through using converter slag, the company aims to strengthen cost competitiveness.